This Echinacea & Goldenseal Root by NOW works great when I feel a cold coming on. I haven't gotten sick since I've been taking Echinacea & Goldenseal Root by NOW. So I'm assuming it has worked. For a few years, I've had to deal with bladder and kidney infections. When I take Echinacea & Goldenseal Root by NOW, it helps to stop the infection, or severely lessen it. 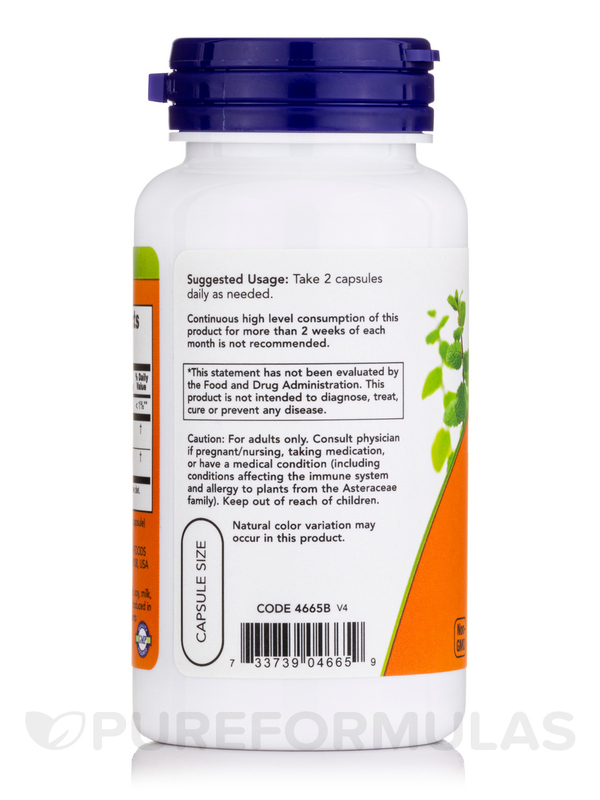 Take 2 capsules daily as needed. 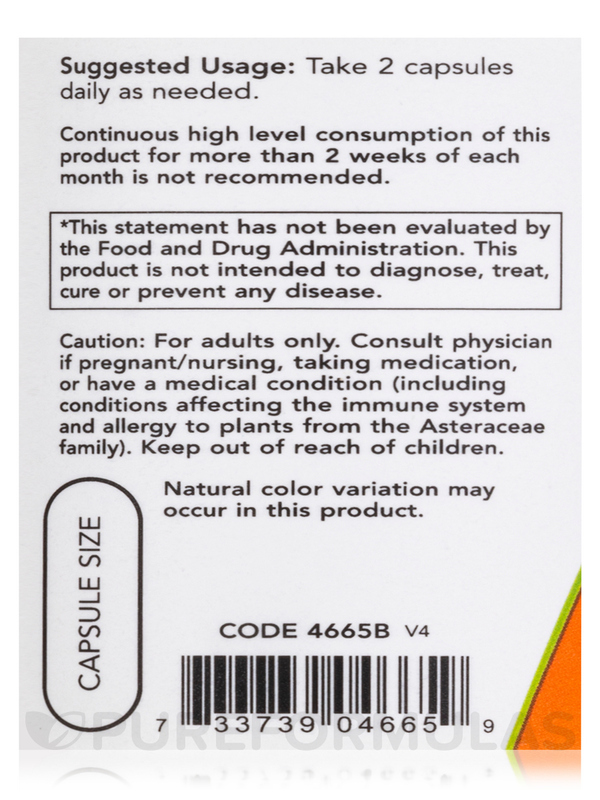 Continues high level consumption of this product for more than 2 weeks of each month is not recommended. For adults only. Consult physician if pregnant/nursing‚ taking medication‚ or have a medical condition (including conditions affecting the immune system and allergy to plants from the Asteraceae family). Keep out of reach of children. Do not eat freshness packet. Keep in bottle. It works, better than taking antibiotics too often. You cannot take it for more than 2 weeks. It helped prevent my cold! 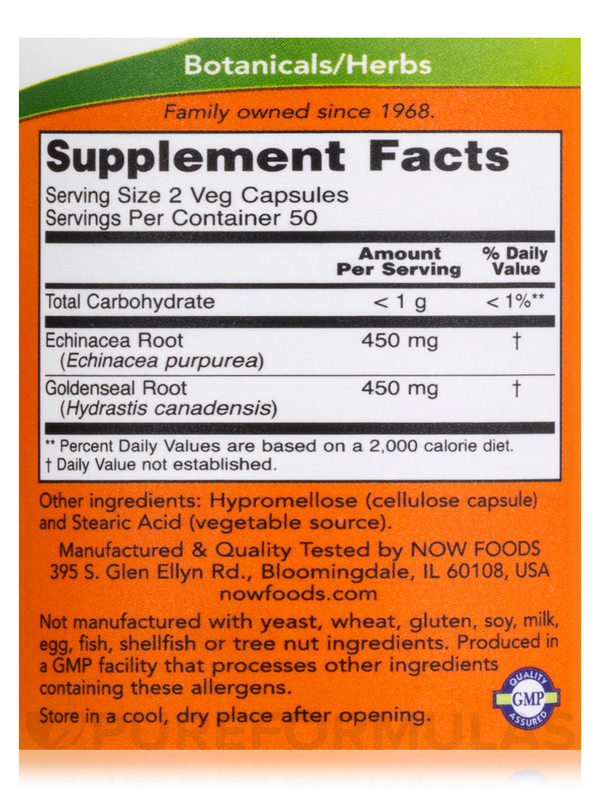 Echinacea & Goldenseal Root by NOW works great in cold prevention! It prevents colds and builds my immune system. Great for allergies and sickness! When I, or my kids, are having trouble with allergies or seem to be getting sick, out comes Echinacea & Goldenseal Root by NOW! It shortens the sickness and helps fight the allergies! Works to help overcome allergy flare ups and stops us from getting sick (if we feel under the weather) or shortens duration of sickness! 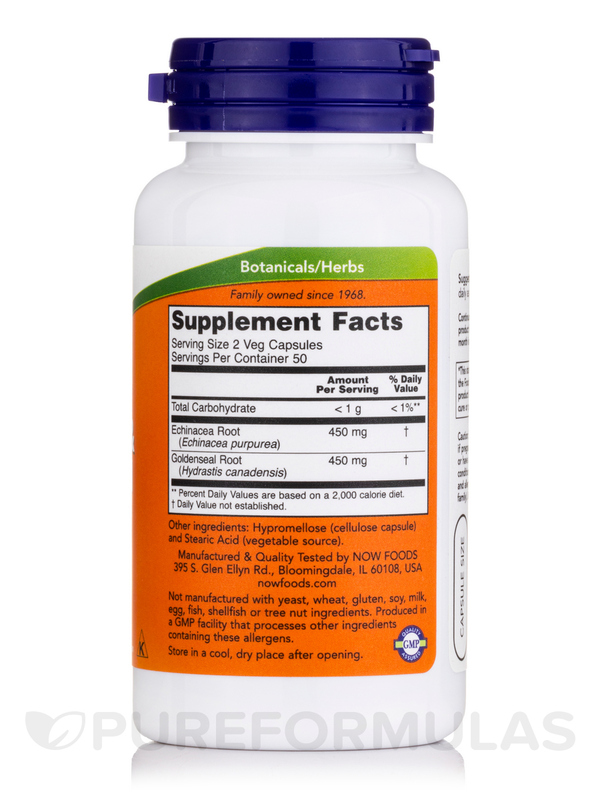 Echinacea helps with the immune system. I read in a book about echinacea and golden seal together will help with the immune system and started taking Echinacea & Goldenseal Root by NOW for a few months and I can see the difference now, I haven't had the flu since then. Apparently doesn't have side effects. 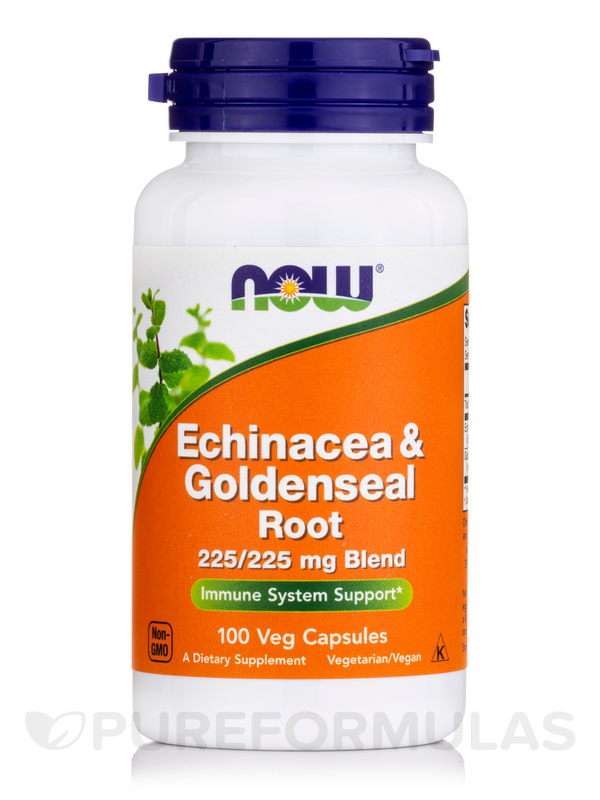 Echinacea & Goldenseal Root by NOW Foods is excellent, helps with sinus drainage right away.